Make your pledge this Sunday. Download the pledge card and bring it to Church this Sunday. 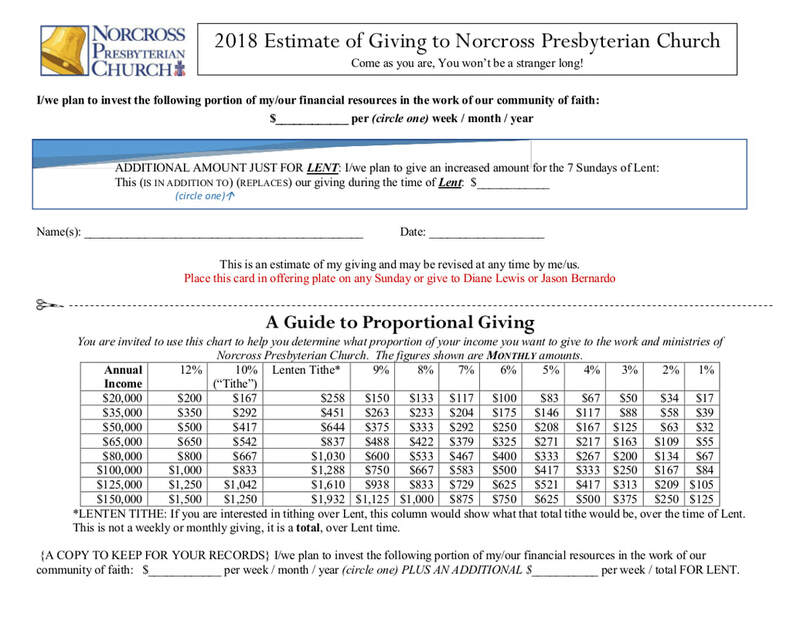 As has been our custom the last few years, there is a separate section on the pledge card to indicate an increased amount for the 7 Sundays of Lent. Please prayerfully consider giving an additional amount during this time.